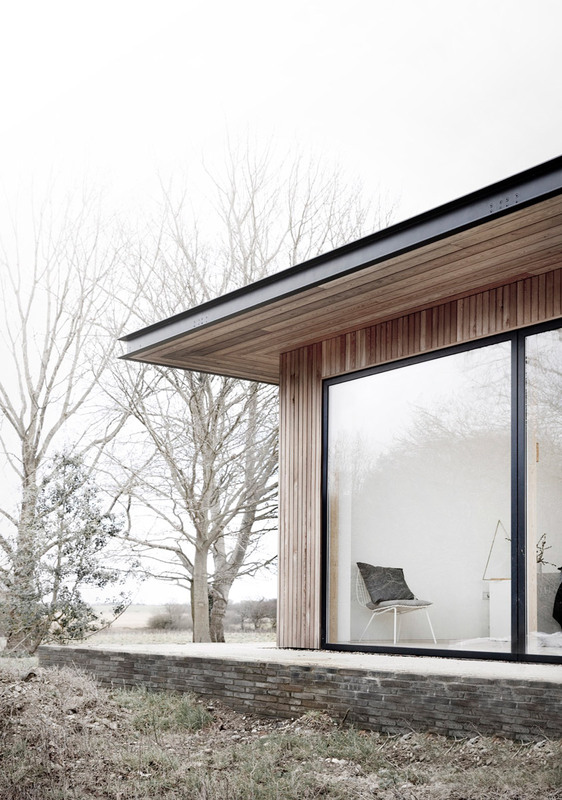 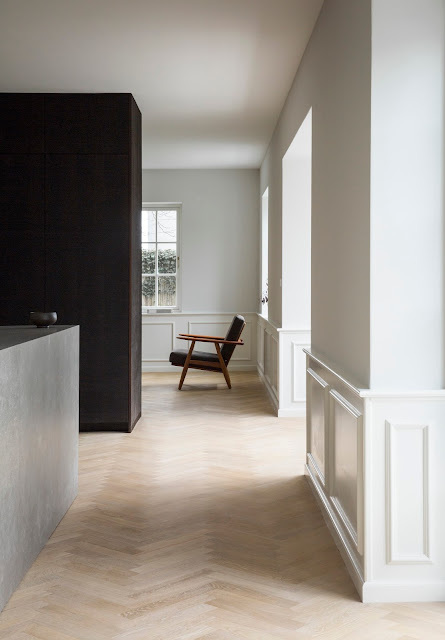 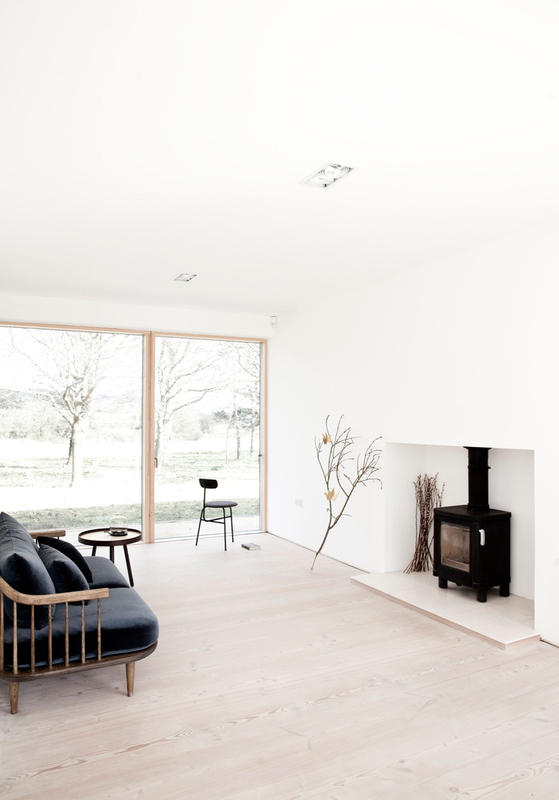 Norm Architects designed Reydon Grove Farm, a minimalist farm in Suffolk, UK, with a scale and form that relates to the existing barn and old buildings of the site. 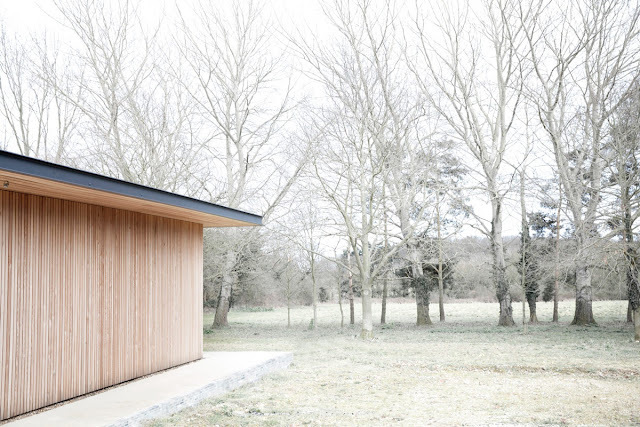 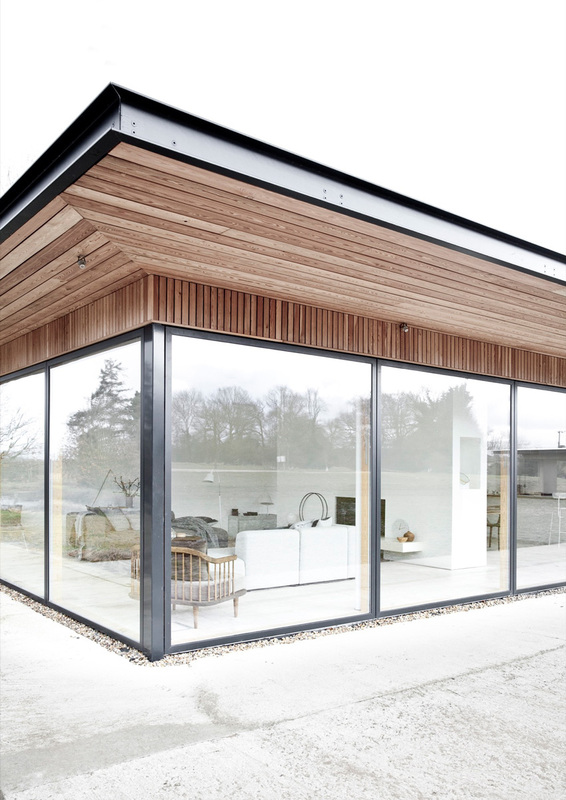 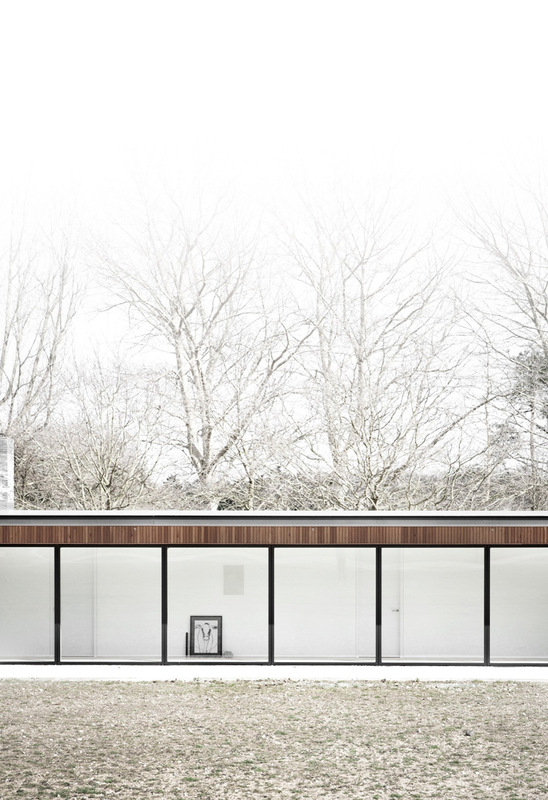 Situated on the border of a working farm in Suffolk (UK), the Scott House has been designed as a long and narrow flat roofed pavillon, to give the building a sufficient magnitude and scale to correspond sizes of the existing barn and the old dairies on the site. 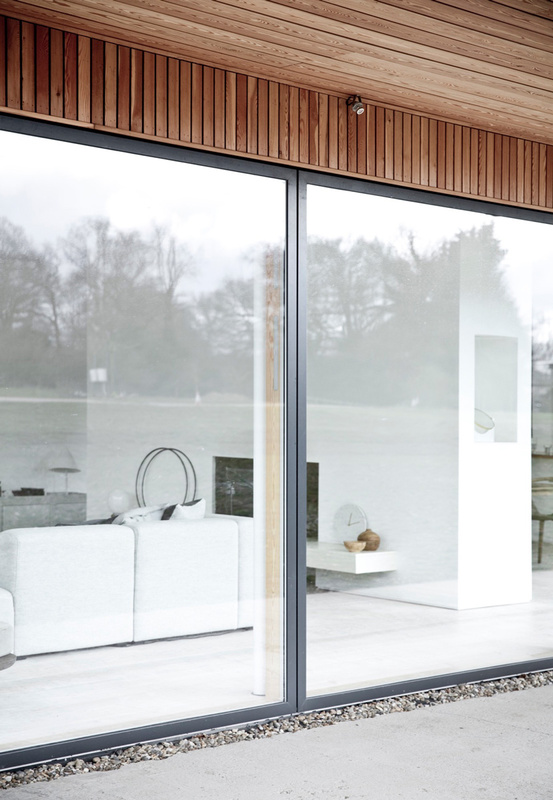 The long structure is placed on the edge of the property, perfectly conveying the transition from the meadowlands to the cultivated farmland and private enclosed garden. 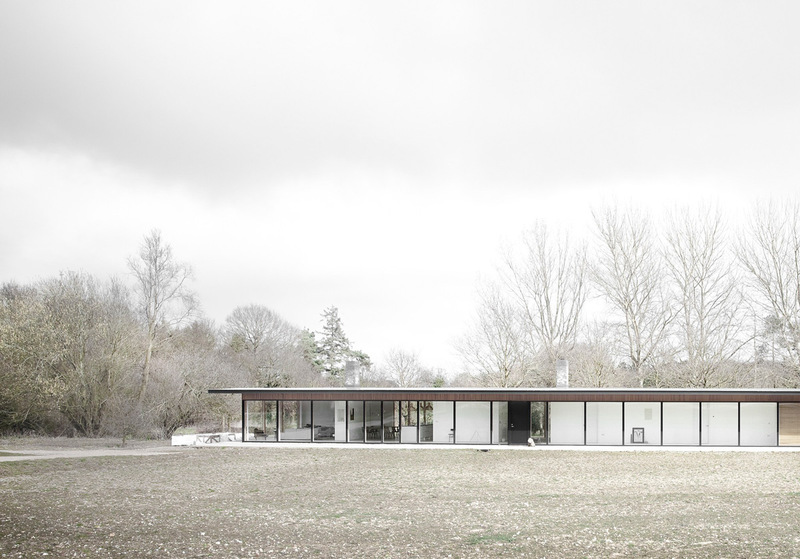 The house is lifted on a slightly elevated sand stone plateau, that serves to lift the building slightly to a level that matches the gentle slope of the site from the East towards the West, which provides the interior with a view over both the garden and the fields in the horizon. 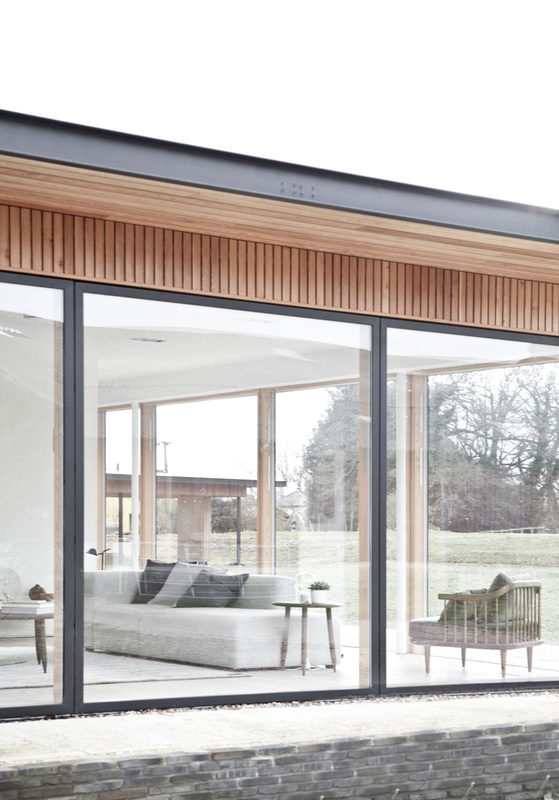 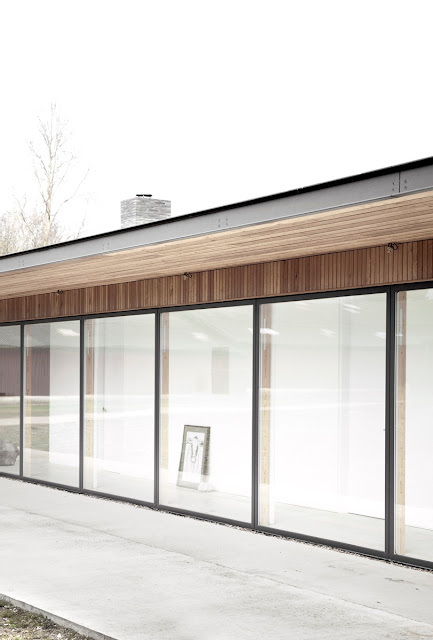 The large overhang of the roof and the thin fascia board makes the building as light and airy as possible. 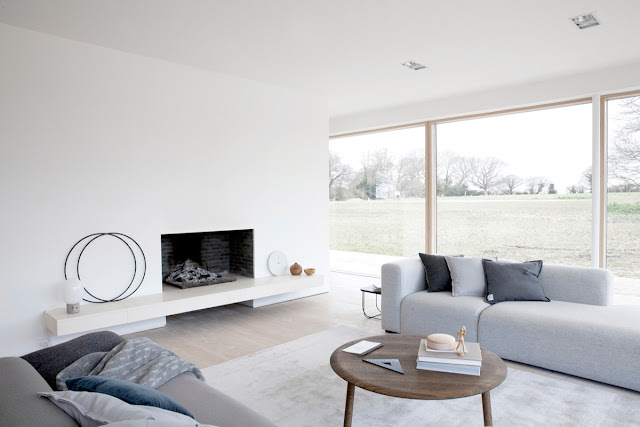 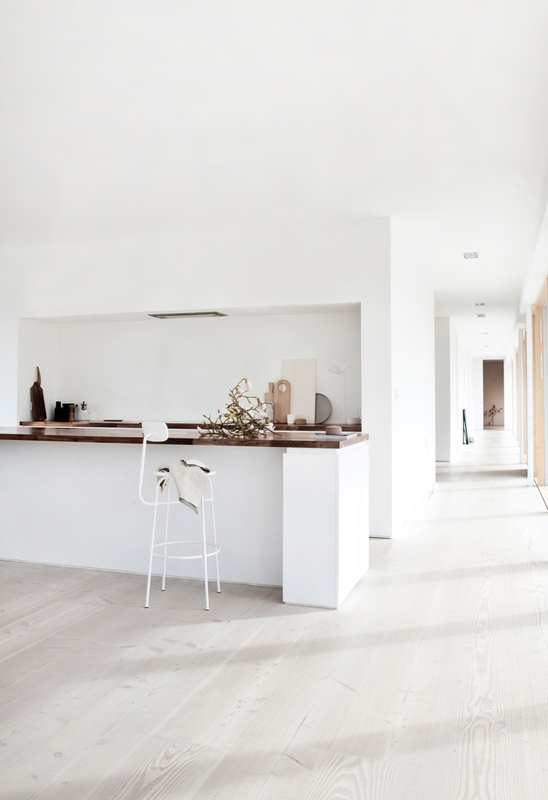 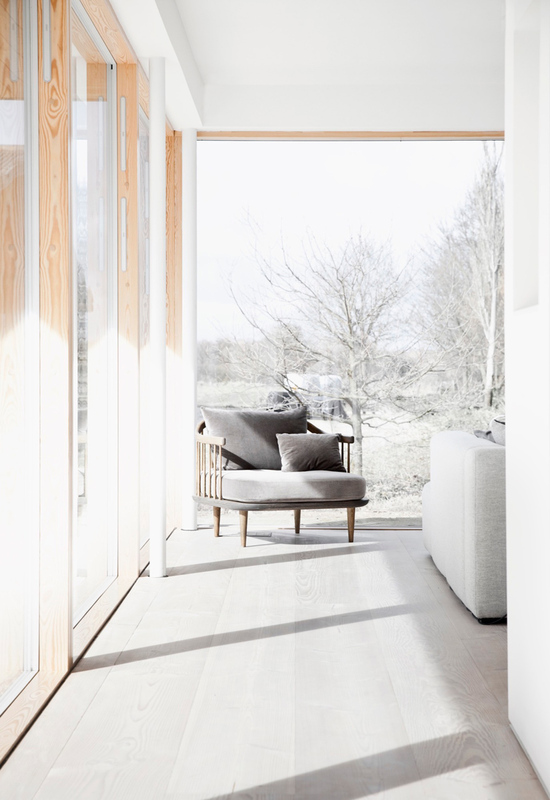 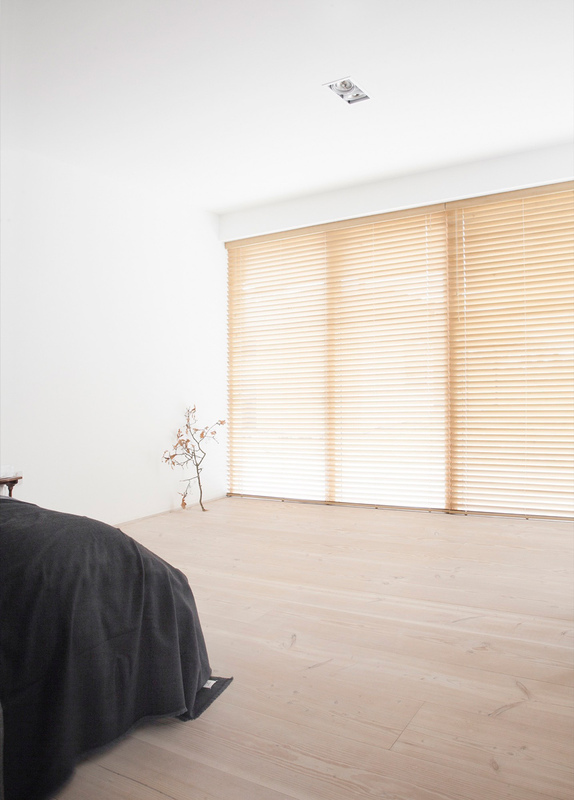 The internal layout of the house is an open space plan with long views, only divided by freestanding elements in to different functional zones. The design of the facade is all about transparency, letting nature be an integral part of the interior and framing views of the extraordinary settings. 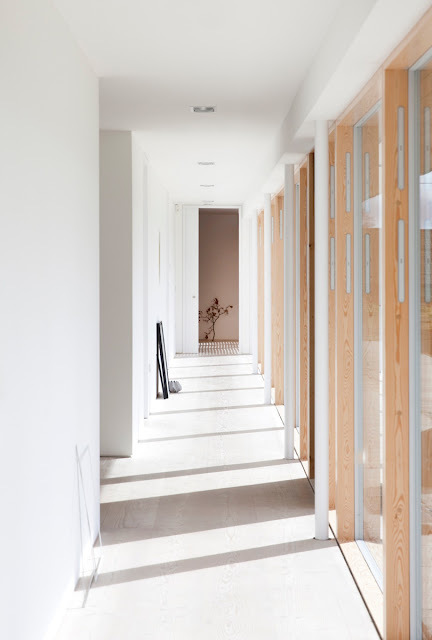 The house is constructed in wooden beams with a vertical cladding in local Larch to correspond with the vertical wooden cladding on the existing structures on the site, creating a harmonious meeting between the old and the new buildings.